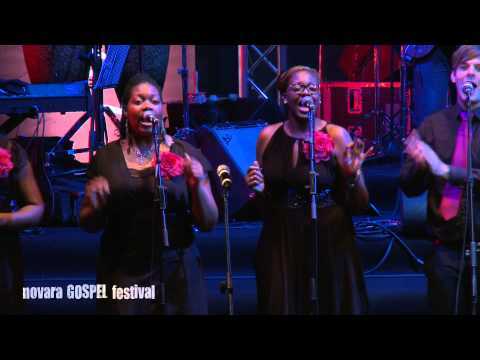 Manchester Inspirational Voices (formerly MSOC) gives an outstanding performance live at 'Novara Gospel Festival 2011' in Italy. MIV (formerly msoc) performed Live at Novara's prestigious Coccia Theater, built in 1888. Their 1hour and 10minutes set left the Italian audience wanting more. They performed US Gospel covers, an original by choir singer Joel Brown 'I Can't Help But Praise You' and an astonishing a Capella arrangement by director Wayne Ellington, of 'How Great Thou Art' a traditional hymn by Mr. Carl Gustaf Boberg (1859-1940). Lead singers presented heartfelt gospel singing, causing long rapturous applause. This was truly the way to represent gospel music and who better from the UK's North West Premier Choir. The Choir was accompanied by the highly acclaimed Jason Thomson and the JT Band from London who brought a dynamic flair to the team.